Many sectors of the Indian economy are taking a hit from demonitization, and the publishing industry has reported a 50-percent decline in sales in the first four weeks after the order on November 8. According to Vikas Gupta, managing director with Wiley India and president of the Association of Publishers in India the third quarter of the Indian fiscal year has been effectively zeroed for the book business, as there’s no way to recover lost sales. Christmas of 2016 remains a dark one for many publishers’ P&L statements. November to February is the literary season in India with more than 26 book festivals and fairs scheduled around the country. In this season of high literary activity, the demonetization has stolen the thunder of authors and publishers alike. Distributors and sales executives at publishing houses privately say they could see a 35-percent decline, year-over-year, in the aftermath of demonetization. Outside of more urban locales—where digital wallets are not a thing yet—regional language book sales have been particularly hard hit. Even India’s online book sales in the past have thrived on COD (cash on delivery) options because the relatively small amounts of money involved weren’t thought to justify getting and using cards. Since demonitization, For a time, online booksellers froze the COP option entirely. Ashok Gupta, treasurer of the Federation of Indian Publishers says that customers are deferring even academic book purchases because in many cases there isn’t enough currency available to handle a family’s daily expenses: buying books is falling off the radar of priority needs. 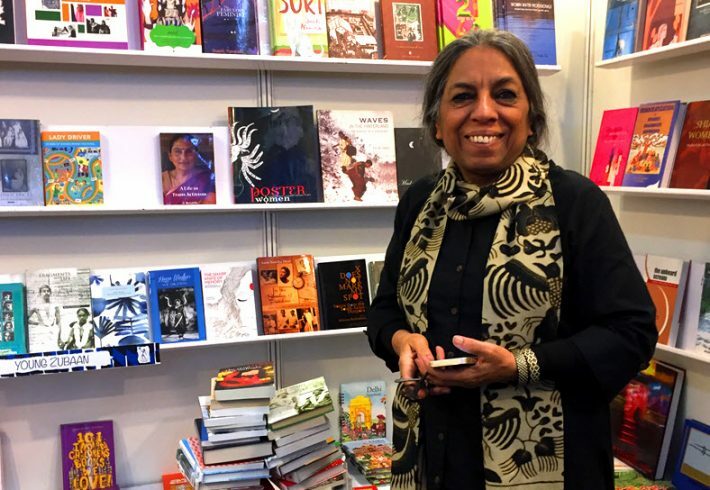 At the New Delhi World Book Fair (NDWBF) which concluded on January 15, stall owners said they were badly worried at the outset. NDWBF organizers made cashless points of sale available to the exhibitors, setting up mobile ATMs on-site. But many booksellers said they were skeptical about how readily book fair visitors would use digital wallets to buy books. A frequently observed transaction was the buying of 200 rupees’ (US$3.00) worth of books with 2,000-rupee notes, for which many book fair stall operators couldn’t make change, meaning lost sales. Ironically, the crisis became an inspiration in some cases: a sales executive with the Bloomsbury India stand said that the team was able to convince most of its customers to buy more on staff recommendations. This worked well with avid readers, publishers cross-promoting titles in order to get a customer’s total spend closer to 2,000 rupees (US$30). Overall, the fair turned out to be a surprise moneymaker, even with cash payments reportedly running as 60 percent. The book fair saw a turnout of some 1.25 million visitors in its 10-day run, and publishers have cheered overturning demonitization fever to open a happy new year for for the book business. Still, mixed reactions came from booksellers. Anuj Bahri of BahriSons Booksellers argued that serious booklovers cannot be deterred by demonetization. It’s the masses who are responsive to discounts, and that’s the main clientele book fairs cater to. 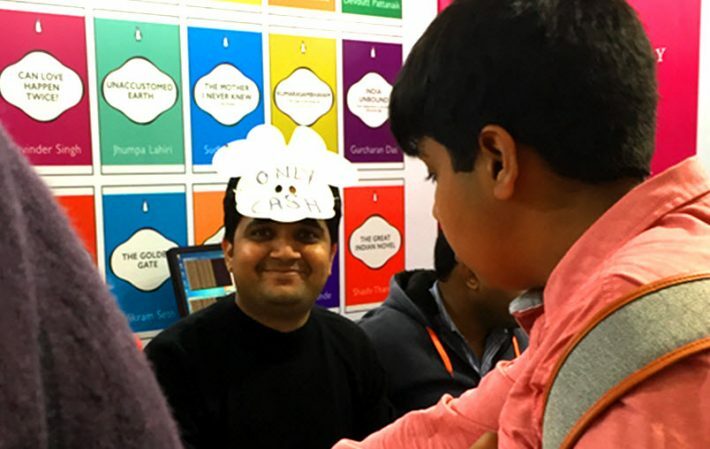 Kunal Jalali of Orient Blackswan, an academic publisher with a niche list, said that his company has seen no impact from demonetization on their sales: they saw heavy buying at their stand from Day One of the fair, he said. Ishani Batalia of Zubaan, a feminist independent publisher, told Publishing Perspectives that they couldn’t get the point of sale apparatus into place in time, but didn’t lose out on sales as their customers returned with cash later to buy the selection. 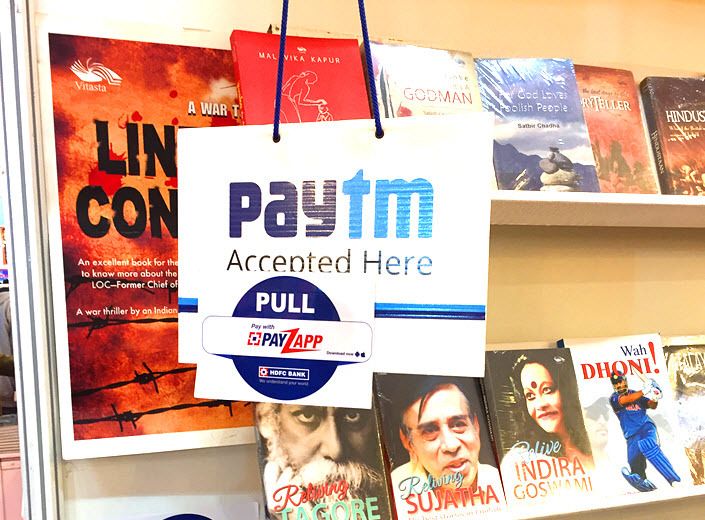 Through several means, then, the New Delhi World Book Fair defied the demonetization effect that had impacted sales at the end of 2016. Nevertheless, publishers say that the overall effect will be a dip in business of at least 15 percent. And booksellers in general at major fair events are struggling with large crowds and inadequate digital connectivity for cashless transactions. 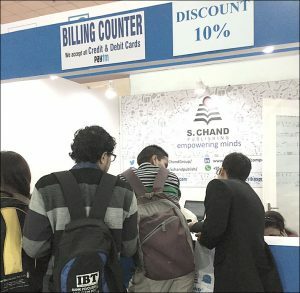 In southern India, book stall operators at the annual Chennai Book Fair (January 6-19) tried to beat the demonitization problem using e-wallets such as Paytm, UPI, and mobile point-of-sale machines. Connectivity problems still dogged retailers as did large crowds trying to utilize such systems. Still, the final report from Chennai is better than expected, indicating that cash accounted for 70 percent of successful transactions. Naveen Valsakumar of Notion Press, a Chennai-based publisher and self-publishing platform, said the company saw only some 30 percent of sales made digitally. 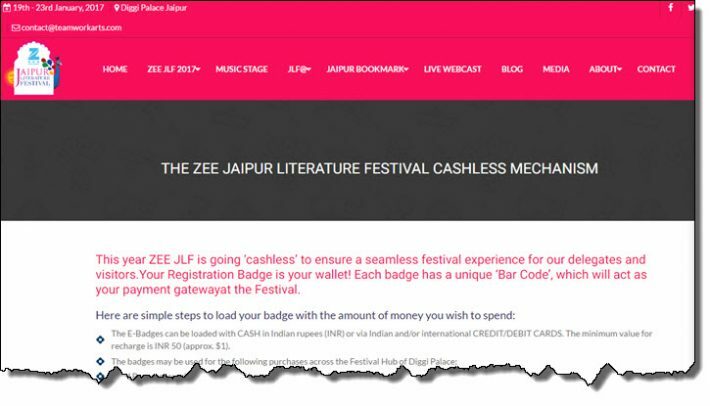 At Jaipur Literature Festival, the event has “gone cashless,” with registration badges serving as bar-coded wallets that visitors can load with cash or credit and debit cards. Demonetization has also prompted some interesting innovations. 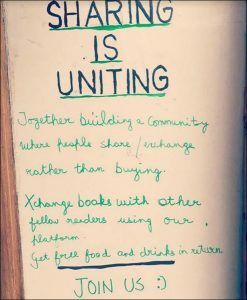 A Delhi University café, XCo (Xchange Over Coffee), has offered consumers a chance to exchange a book for a meal, customers bartering for food with fiction and nonfiction titles in good condition. The student community is largely quite cash-dependent for day-to-day expenses with small-bill transactions. XCo attracted 650 books in the offer’s first month. The company expanded the offer to its site, allowing two students to exchanged books and get coupons for food and drink at the café. And the ongoing literary carnival Jaipur Literature Festival at Diggi Palace Jaipur (January 18 through today, the 23) has arrived, “going cashless to ensure a seamless festival experience for our delegates and visitors”—in hopes that booklovers will continue to brave the difficulties of demonitzation for their fondness of the written word.